Aw Nerds! Looks like this page may be out of date. Head over to our article for updated info: SelfScore rebrands as Deserve. For information about a similar product, head over to our Deserve Edu credit card page. If you’re an international student, getting approved for a credit card in the United States can be a challenge. You can’t bring your good credit from home to the U.S., and most credit card applications require a Social Security number and a hard pull on your credit report. When you’re starting over with credit, that presents an obstacle. The SelfScore Achieve® for Students was designed to help international students establish a credit foundation in the U.S., although applications are no longer restricted only to international students. The card doesn’t require you to have a Social Security number. You also don’t need a deposit or co-signer, which many issuers require if you have no credit history. And aside from the opportunity to build credit, the SelfScore Achieve® for Students also offers cash back. »MORE: A financial guide for immigrants in the U.S.
Avoid a Social Security number requirement. Instead, SelfScore evaluates other factors, including your school and major. These form part of an algorithm that calculates how likely you are to graduate and get a job. SelfScore also considers your ability to pay now by looking into your U.S. bank account balance. In addition, the company looks into how your contact information — physical address, email address and phone number — has changed over the years. 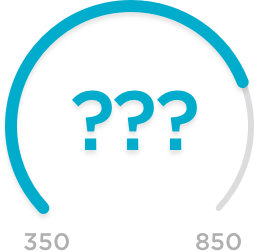 SelfScore wants to know how likely it is that it will be able to reach you. Documents required for the application process include your latest bank statements, a passport ID, a student visa and an I-20 form. Spend less on fees. The $0. The money you save there can free up your wallet for food, books or tuition. You also don’t have to worry about foreign transaction fees when you visit your home country. Redeem cash rewards for statement credit. SelfScore aims to promote and reward good credit behavior, says Kalpesh Kapadia, co-founder and CEO of the SelfScore. Many other cards won’t offer you rewards without a credit history. The SelfScore Achieve® for Students offers 1% cash back. Once you reach $25, cash back automatically redeems for statement credit. Build credit in a new country. The SelfScore Achieve® for Students reports to two out of three credit bureaus: TransUnion and Experian. These companies gather the information used to calculate credit scores. They record your good payment history, which you need to establish a good credit score. Earn referral bonuses. Get $30 in statement credit every time you refer a friend who qualifies for the card. There’s no limit to the number of friends you can refer. You also get an additional bonus of $200 on the 10th referral. That’s up to $500 in statement credit. Enjoy Mastercard Platinum benefits. Benefits include purchase assurance, extended warranty coverage, travel assistance and car rental collision waivers. Even if you don’t qualify for the SelfScore Achieve® for Students card, you might qualify for the SelfScore Classic Mastercard, though it offers fewer perks and a lower credit limit. »MORE: Alternative lenders offer credit cards for newcomers to U.S.
Kapadia says SelfScore’s relationship with international students is one of advocacy, not abuse. “Our goal is to not get you into debt; we want you to build an excellent credit history,” he says. The SelfScore Achieve® for Students is a credit card, though, and you’ll need to use it responsibly to avoid certain costs. No cash advances. Fees and interest tend to run high for cash advances. Still, if you’re low on cash, you might value having the option. You won’t get it with this card. The high ongoing annual percentage rate. If you carry a balance, it could get expensive, especially on a student budget. That’s why it’s important to pay off balances in full each month to avoid interest. You also want to avoid spending more than 30% of your available credit to keep your credit utilization low. No mobile app. Apps can make it easier to keep track of your account. The SelfScore Achieve® for Students doesn’t offer one, but you can manage your account from your cell phone on its mobile-optimized website. If you’re looking to establish credit in the United States, the SelfScore Achieve® for Students could be an ideal fit, assuming you’re eligible. The 1% cash-back rate on all purchases isn’t bad, particularly for someone with no U.S. credit history. Just try not to carry a balance, and make sure you can live without a mobile app. Once you graduate, you can keep using the card. In fact, keeping the account active can preserve the length of your credit history, an important factor as you continue to establish your credit.